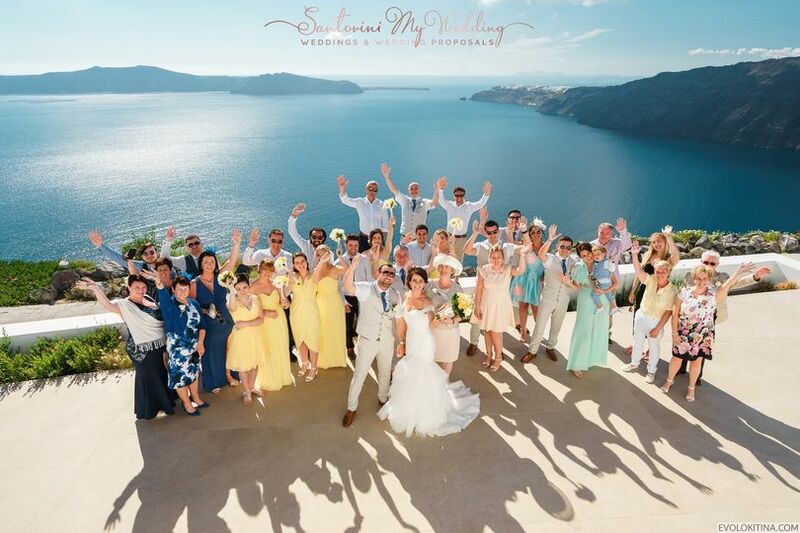 santorini weddingmoments on our beautiful island. 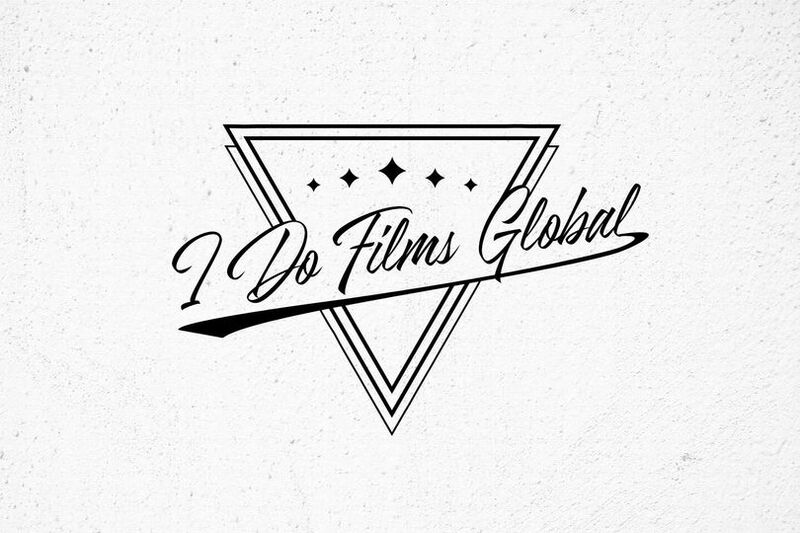 Our philosophy is to be firstly professionals and secondly friends with our clients. 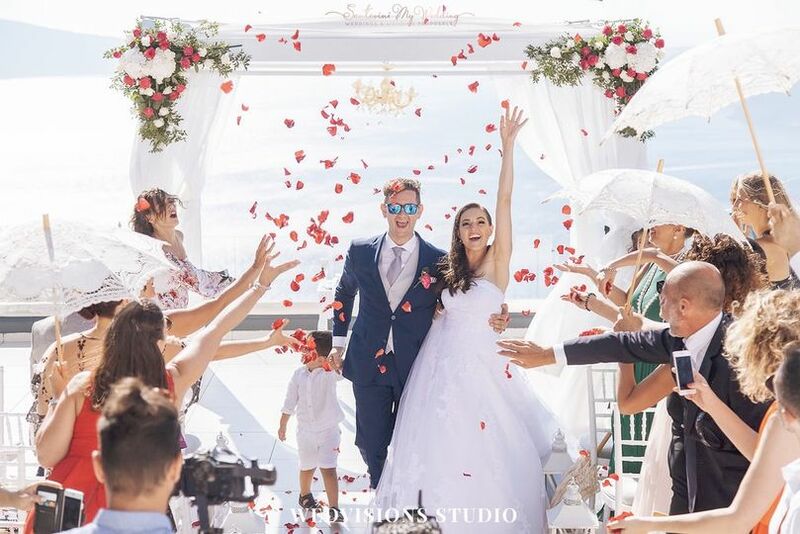 Katerina, Giannis and the rest of our team works on each wedding with passion, customized vision and high quality services. 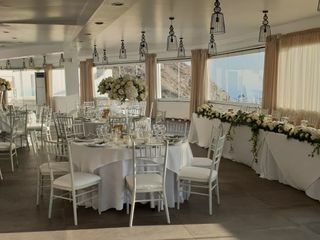 Viriety of santorini wedding venuesand honest suggestions with all secrets and restrictions. We love working with people that adore our beautiful island and it’s stunning views. 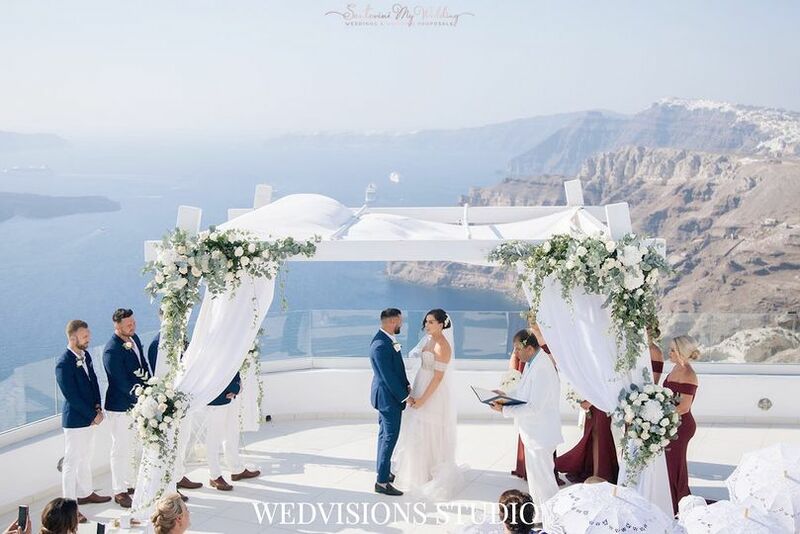 In Santorini you will live a unique wedding experience that all your family and friends will feel more than happy being a part of your big day. Our team will give all our efforts to make this happen. 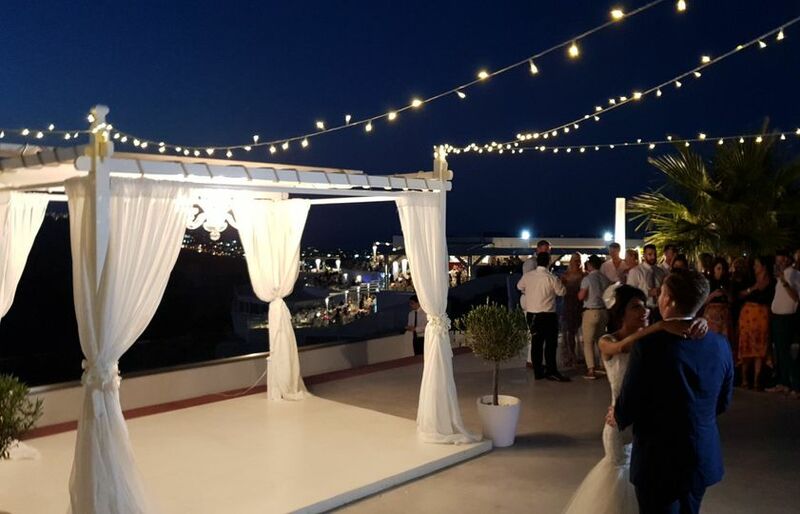 Your wedding consultant will give you all needed support, guidance and make all necessary suggestions with flexible santorini wedding packagesso the planning procedure will be easier than having a children’s birthday party ! We know our job and feel blessed for the trust and love that many couples have shown to us until now. 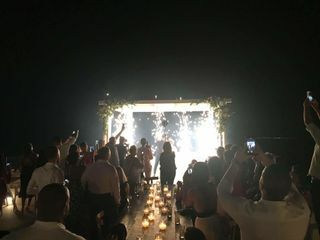 You worth the best and we know how to make your wedding the most successful and happy day of your life. Just think “My Wedding” and leave the rest to us !! 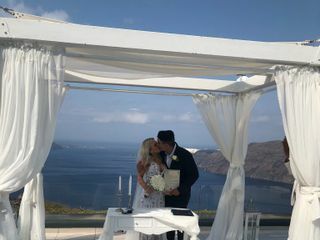 My husband Dejan proposed me last year on Santorini. He contacted Katerina to help him with organization and they made the scene I could never forget! The breath taking view, perfectly set table just for two of us, candles arranged in form of a heart, and in the middle of it: the man of my life with the ring in his hand. I thought it was a dream that I hoped it would never end. Of course, with tears in my eyes I said YES. 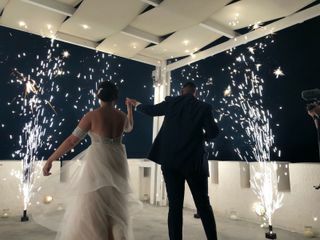 Soon, when I came to my senses, I realized the effort that Dejan and Katerina had put into making it a fairytale moment. I was eager to hear every single detail. 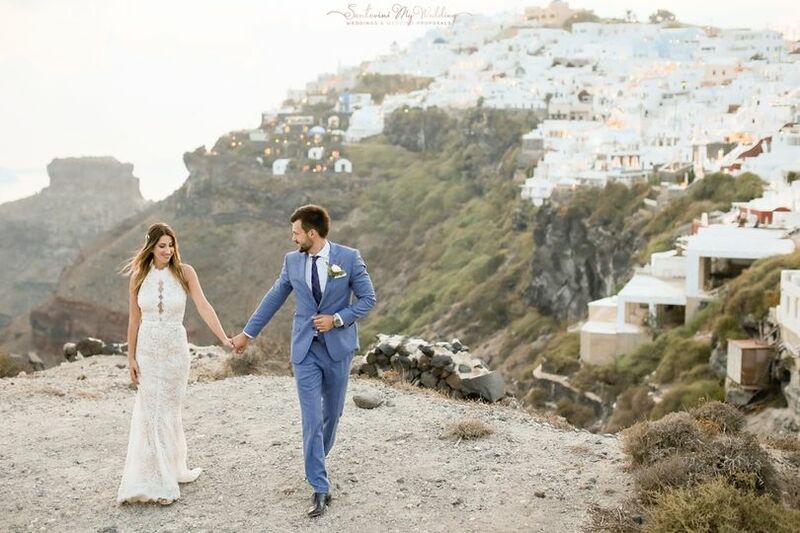 All of this had made such a great emotional impact on both of us, so we decided to choose Santorini again for the most important day of our lives; we wanted to get married on the same terrace where Dejan had proposed me. Of course, all of this would be impossible with enormous help from dear Katerina. She turned all of our wishes into reality. I know that on several occasions we have been too demanding, and let’s be honest, even a bit difficult, but she patiently handled all of our requests, all with a smile. 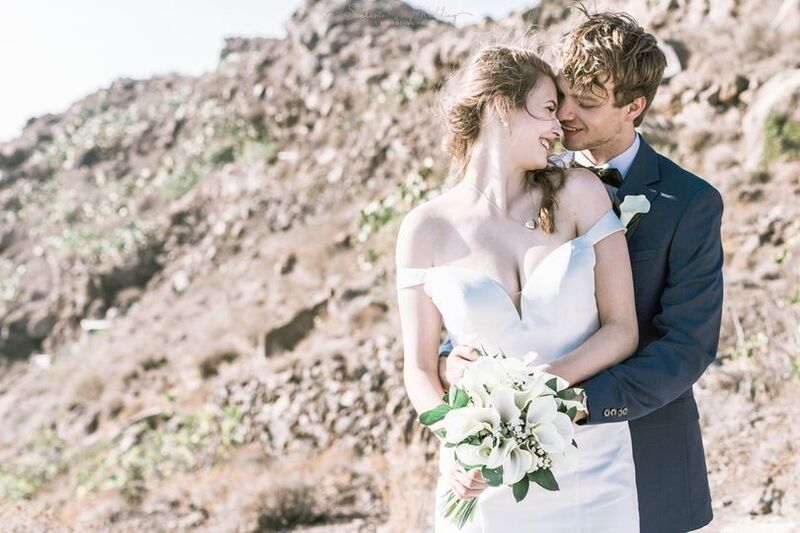 She gave her best to make our day perfect, and she did it! And even more than that! After one year the day has come, and again, we put Katerina in charge of everything. 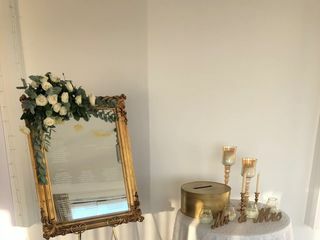 Starting from the transport for 15 people, restaurant, decoration, hair dresser, make up artist, and many other subtle details, everything was flawless. 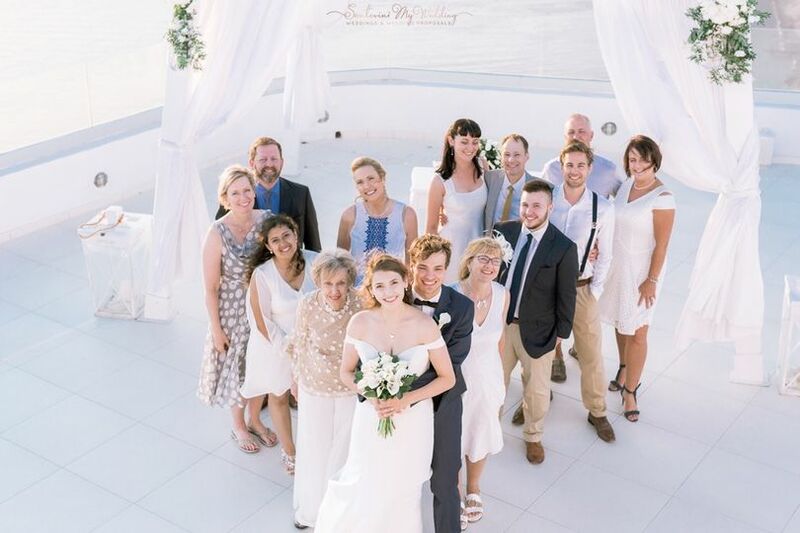 The ceremony was held at the same terrace where the engagment had taken place. Some things cannot be described with words, there are memories that will last for a lifetime. There was also the wonderful photogrpaher that took care of us having these valuable moments and emotions captured in photos. None of this could be possible without the enormous help from completely dedicated Katerina and her team. Not only they are great professionals, more important they are wonderful people. 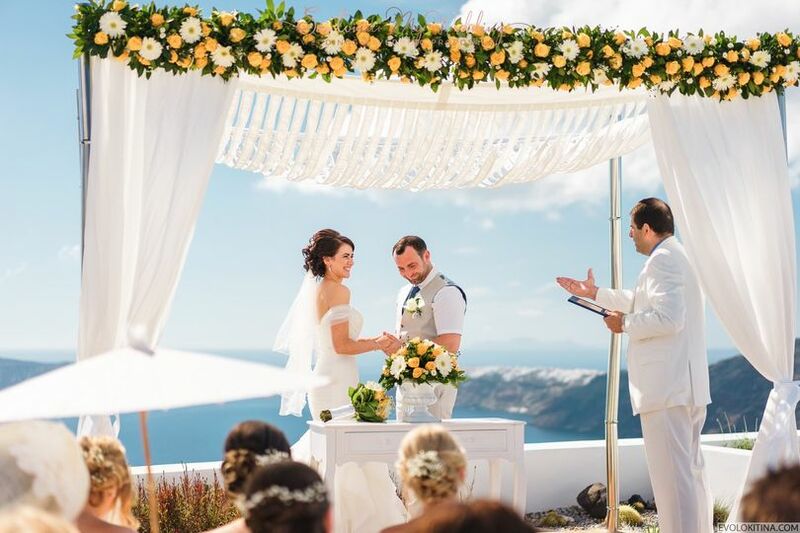 Katerina incorporated her creativity and successfully organized our perfect wedding. This day is our personal fairytale that we enjoy to retell to our friends over and over again. 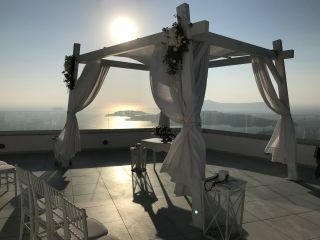 If you are planning any event on the Santorini, contact "Santorini my wedding", you won't regret. 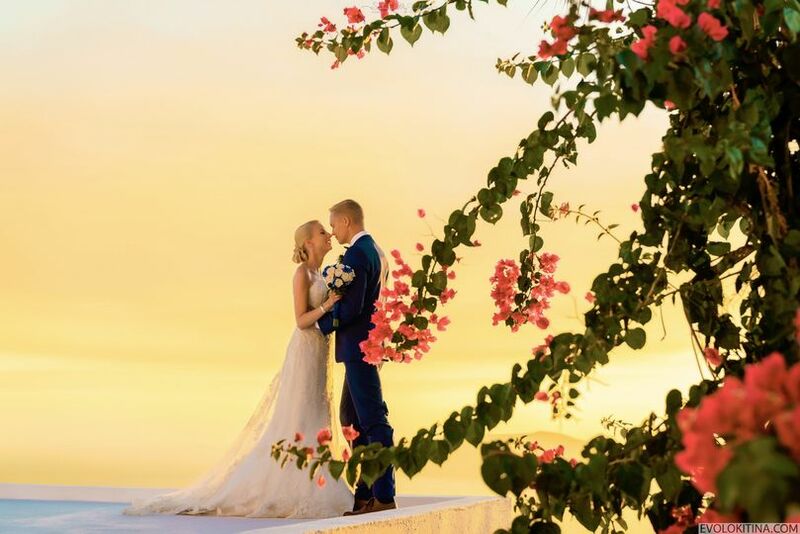 From the first email to the very end katerina was so helpful throughout the whole process she made me feel so comfortable and handled everything perfectly any request I had she made happen.. all the way from the other side of the world I can’t thank you enough katerina for making our day so amazing!!!! Through thorough research, it proved to be the best decision. Katerina went above & beyond our expectations. Very important as we never met. 100% recommend them. Thank you! 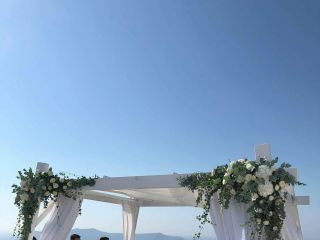 You will be 100% satisfied from the Services of Santorini My Wedding. 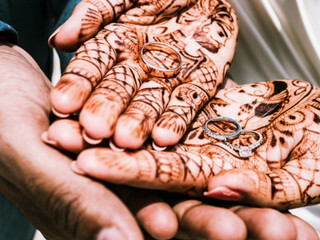 We totally recommend for your Wedding Planning !